edit: There will be an update next week with a new effect for the Graphic Generators. Sorry for the small update, but it’s going to be like this for a while as I work on commission art projects and all the other crap you hear me rambling about. 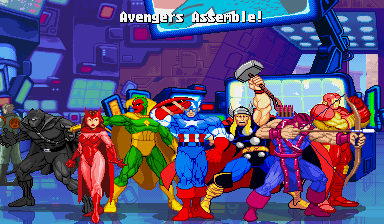 The commission job is a piece of cartoony artwork and that’s one of the reasons why most of the new sprites share a common theme. 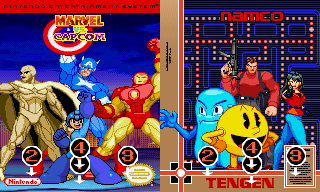 New Characters: Pac-Man, Ms. Pac-Man, Ghost Monsters and Pooka for Namco. Space Invaders for Taito. 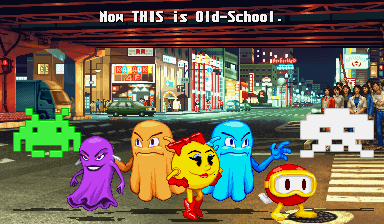 Custom Sprites – Ms. Pac-Man, Blinky, Pinky, Inky, Clyde, Sue and Pooka (all scratch-made) added to the Namco page. This is the biggest custom mini-logo update I’ve ever done. I typed up a big breakdown of new logos, including the numerous company-based logos, but that draft got lost. I’m not typing all of that again so look at the big preview pic. The preview pic doesn’t even show all the variations of the logos like the flat Sega logo, darker SF logo, and more. BTW: A few of these mini-logos were made because people replied in the Request Line topic I posted last year. It took me a while to get to them, but they still, as R-Truth would say, got got. 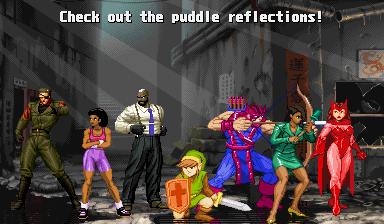 Sprites – Bad Dudes page updated with new sprites, animations and a fixed version of Blade’s charge-up animation. Minus World – I updated the Bootleg Wrestlers page with a Animal’s LOD-like taunt from Bad Dudes vs. Dragonninja.